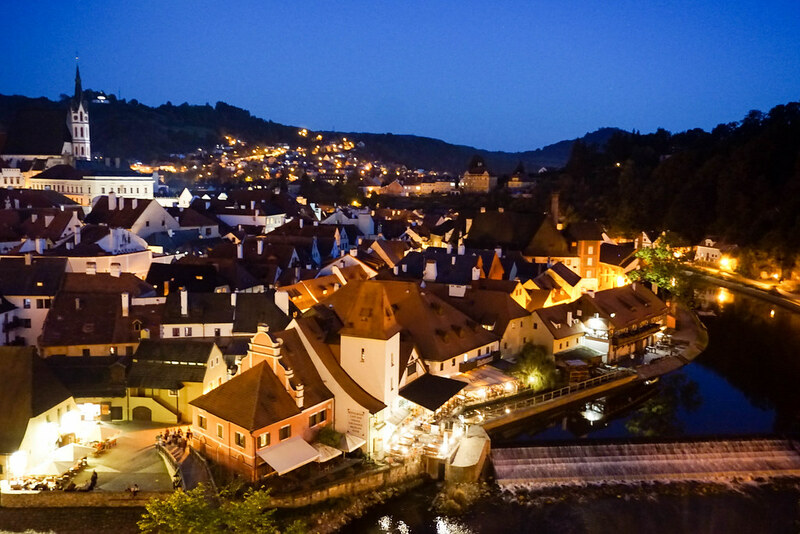 During last three days we visited Český Krumlov – Czech’s second most popular tourist destination. The town was built around a castle in 13th century in Gothic style. Full of charming photo spots, it has a reputation of a city for a one-day visit and unfortunately is very overcrowded. That is why we decided to stay for two nights and discover how the city center looks like when all the tourists go back to their hotels. 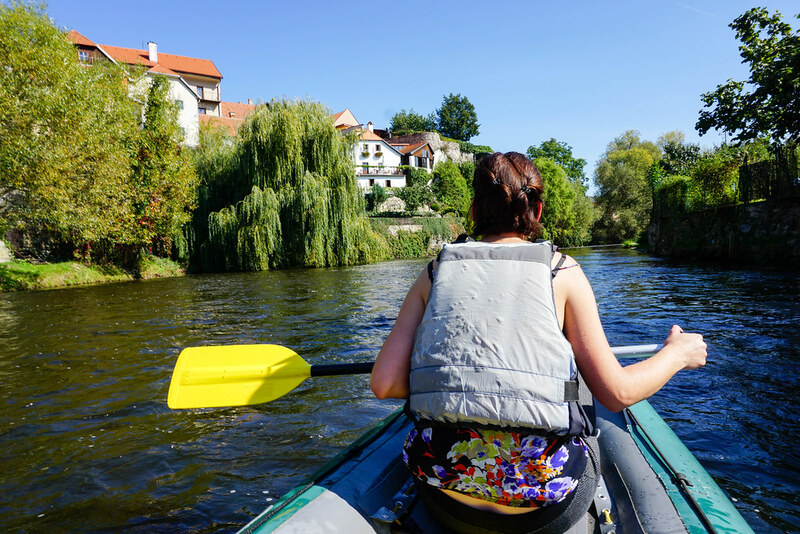 We have tried one of Czechs favorite summer activity. We swam approximately 5 kilometers from the small village Větřní to the historic city center of Český Krumlov. On our route there were 4 different weirs with a strong river current so it was quiet exhausting 90 minutes. Nevertheless the breathtaking views from the boat were definitely worth it. 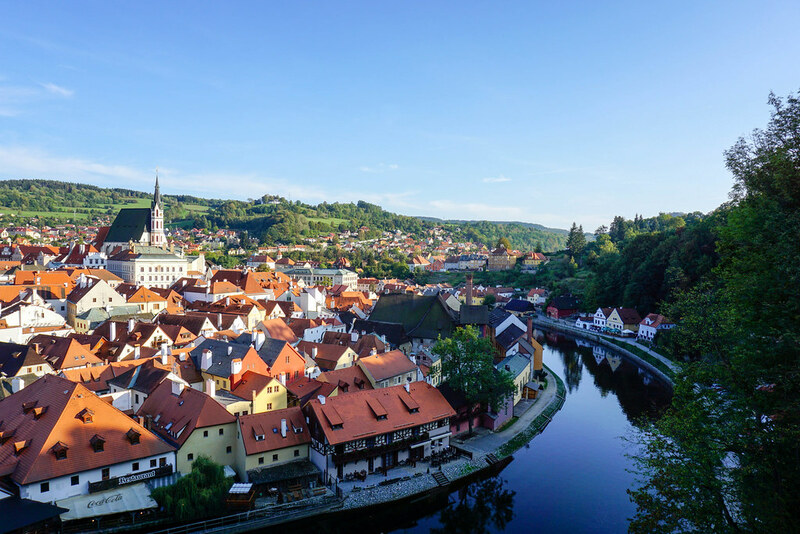 During a day it is almost impossible to take a photo of the picturesque streets of Český Krumlov without any tourists in the frame. But in the late evening when all the souvenirs shops are closed and last buses are heading back to Prague, you can enjoy romantic walk on the empty streets. You may stay in the historic center but we also recommend a 15 minutes walk behind the city walls to Křížový vrch (Cross hill). There is a wonderful view from the top just before the sunset when the sun shines on the roofs of houses down in the town. 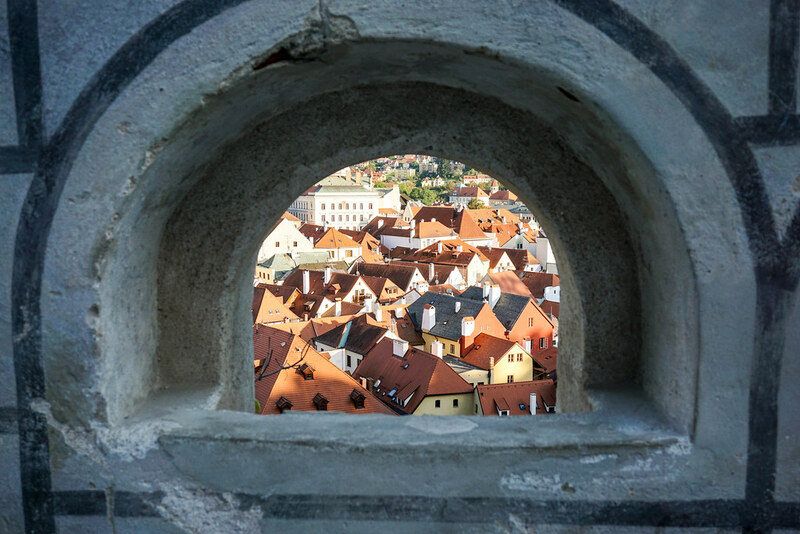 Český Krumlov was the biggest challenge in our “Young | Heritage | City” project. Touristic and pricy restaurants dominates in the town so it was hard to find some place forlocals. 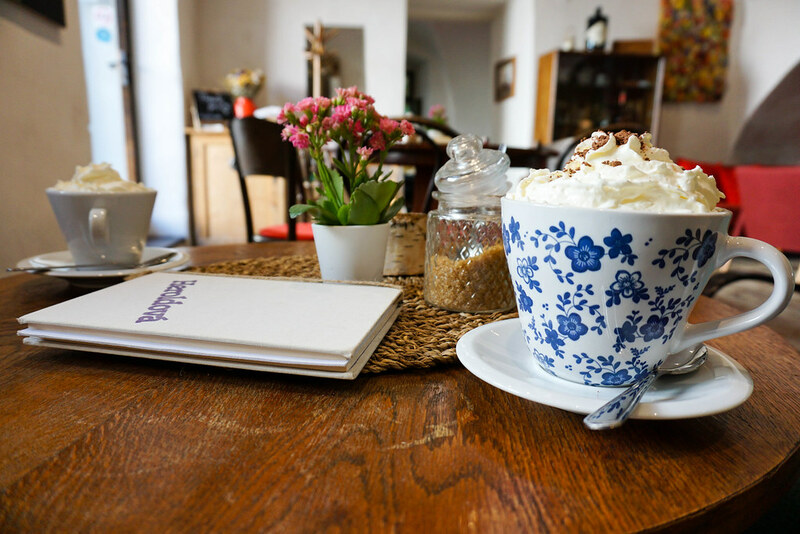 To prepare our daily materials we discovered cafeteria situated near Art Center which presents the life and work of an Austrian artist Egon Schiele. Inside you will find comfortable armchairs and sofas, outside nice garden with a calm atmosphere in the backyard. 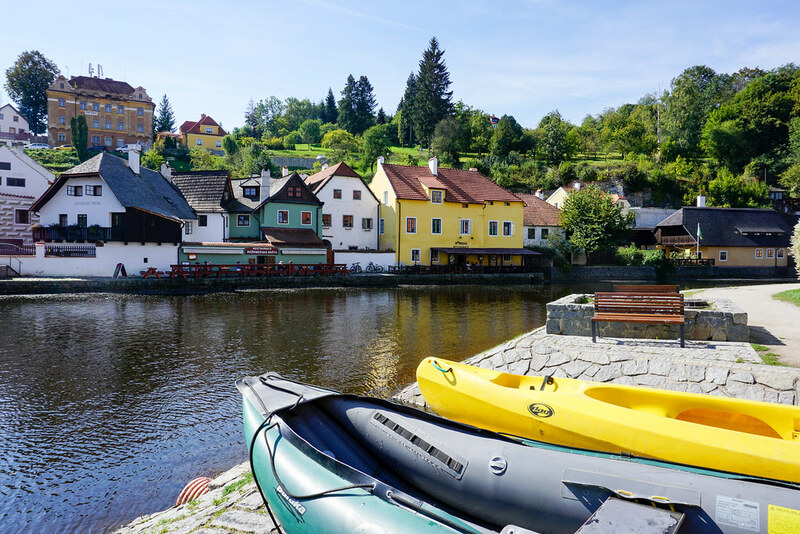 After leaving Český Krumlov we stayed in Czechia. 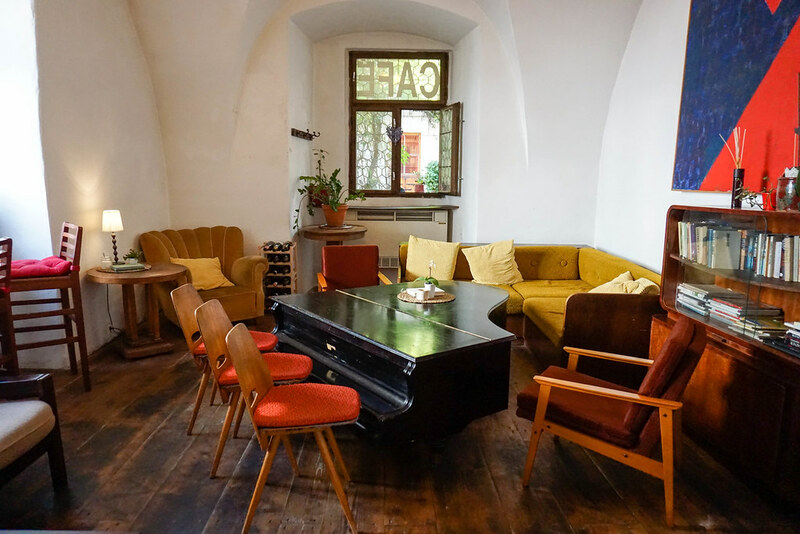 We moved to Prague that was the last stop of our journey. 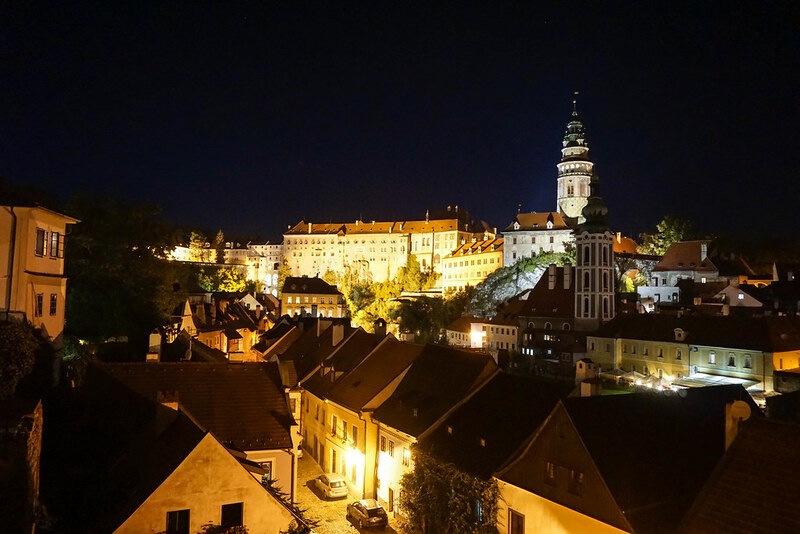 We were looking forward to discover the third Central European capital on our route.